September 5th, 2004. In Lusaka, Zambia, The Copper Bullets draw Liberia for a World Cup qualifier. With 18 minutes left on the clock to play, the score is still 0-0. One of the Zambians on the "bench" - a set of plastic white garden chairs – Kalusha Bwalya (Lusha) starts his warm up. 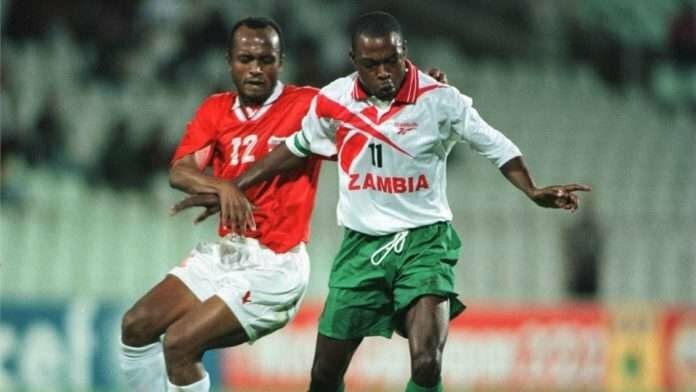 Kalusha Bwalya started his career with Zambia’s most successful football club, Mufulira. A thunderous left foot, and composure beyond his years, he was Zambian footballer of the year in 1984. A growing international reputation began rumors of a transfer to a European club. When Cercle Bruges of Belgium came calling in 1985. He jumped at the chance to prove himself at a higher level. After qualifying for the 1988 Olympic Games in Seoul, the Zambians drew Italy . Against all odds, Zambia humiliated Italy 4-0, led by Lusha's hattrick. His brilliant performance once again saw European teams vying for his signature. He would sign for PSV Eindhoven, and in 1989 he became the first Zambian voted African Player of the Year. 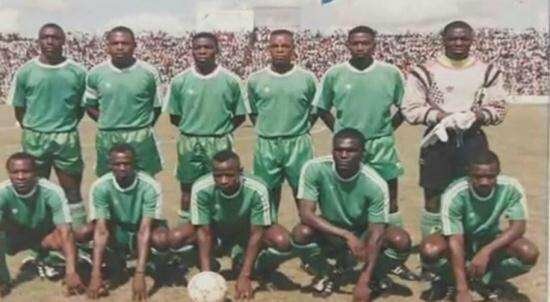 The history of football in Zambia would forever change on the 27th of April 1993. Boarding a plane ahead of their World Cup qualifier against Senegal, the players and management died in a horrific plane crash off the coast of Gabon. Bwalya and two other players had arranged separate travel and were not aboard the plane. An entire football team was gone. In Zambia, Football was the one thing that united the nation. The entire country was in grief, and the tragic event left a scar that would never heal. At the 1995 African Cup of Nations, the team had an opportunity to unite the country. A young and inexperienced team, led by Bwalya would make it all the way to the final. Despite the 2-1 loss to Nigeria, Bwalya would always be a champion to his compatriots. 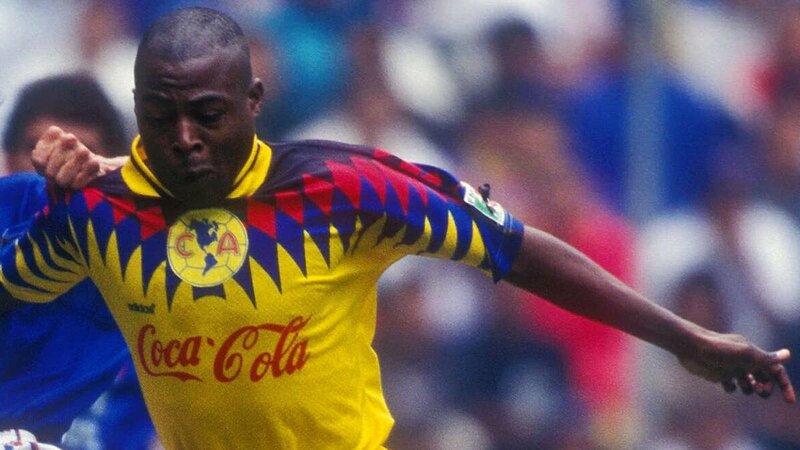 He would then move to the Mexican giants, Club América and play some of the best football of his career. In 1996, he became the first Zambian and first player outside of Europe nominated for the FIFA World Footballer of the Year. 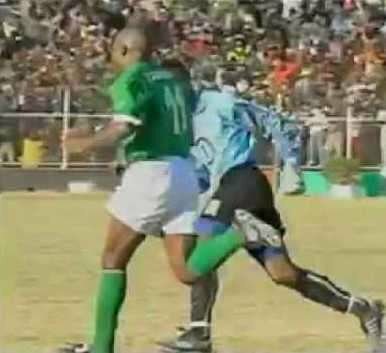 Bwalya retired in 2000 and had shifted to ambassadorial role for his beloved country. Yet, he remained a player-coach for the qualifying round for the 2006 World Cup. A match against Liberia had entered the 72nd minute locked at 0-0. Spectators in the Independence Stadium were in shock when the 41-year old got up from the bench, and began to warm up in the 72nd minute. “Lusha! Lusha! Lusha has gone to warm up!” yelled the commentator. His career was well over, and the question whether he should do it at all were on the minds of all fans. After all, it was safer to stay in his chair, hoping for a late winner. But he couldn’t resist it. A few minutes later, the board went up: Number 9 off, Number 11 on; the coach entered the field for his 100th cap. Liberia commits a foul at about 30 yards away from goal in the 91st minute. Lusha, wearing the number 11-shirt without a name, but with Zambia on the back instead, steps up for the free kick. Lusha takes almost ten steps back - the crowd was holding its breath. When are third man joins the wall, Bwalya had already made up his mind. He runs up and strikes the ball with the inside of his left foot. The ball curls around the outside of the wall - like only Roberto Carlos could. Travelling at a speed that leaves the keeper hopeless, the ball finds the bottom left corner! No one could believe their eyes. Lusha had done it! The scoreboard read 1-0 and Zambia would secure the victory. More than one of the best players to pull on the shirt for Chipolopolo; he is a national hero. Not only for his fairytale goal against Liberia, he was a symbol of hope and national pride during a time of true peril. King Kalu etched in Zambian football history.